An island-republic in the Eastern Mediterranean, Cyprus stands at the crossroads of three continents, Europe, Asia and Africa with easy access to most of Europe, the middle East, North Africa and Russia. With long warm Mediterranean summers and mild winters, Cyprus enjoys an average of 10 months of sun per year. In addition to this Cyprus has a very low rate of Crime comparing with other countries. Finally Cypriots are very friendly and speak English as a second language. Saint George (Agios Georgios) is at the southern edge of the Akamas Pensinsula, a protected natural park with some of Cyprus finest scenery and deserted beaches. Saint George is a famous place of pilgrimage in the Paphos region in the West of Cyprus. Three early Christian Basilicas and a bath, all from the 6th century were excavated in the early 1950’s. Later excavations revealed an extensive unwalled settlement that occupied the neck and the south slope of the cape in Roman and early Christian periods. 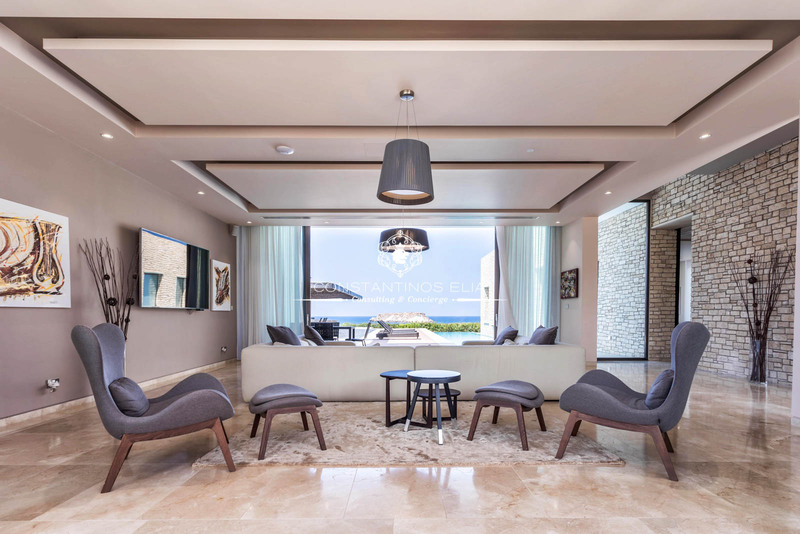 Cap St. Georges is a private club of up to 150 villas ranging from 295sqm to 930sqm set on a unique plot on the west coast of Cyprus. 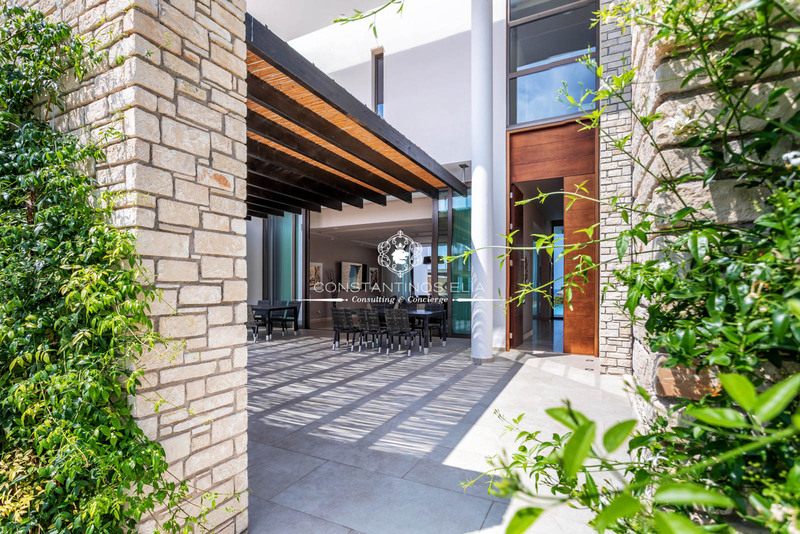 A select community of like – minded and high achieving individuals who share the common values of a quality lifestyle. 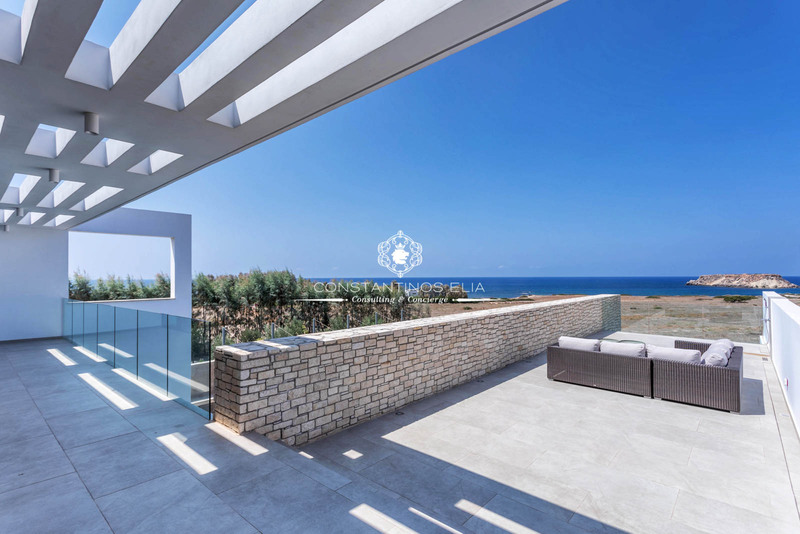 A gentle slope towards the sea allows every house a spectacular view. 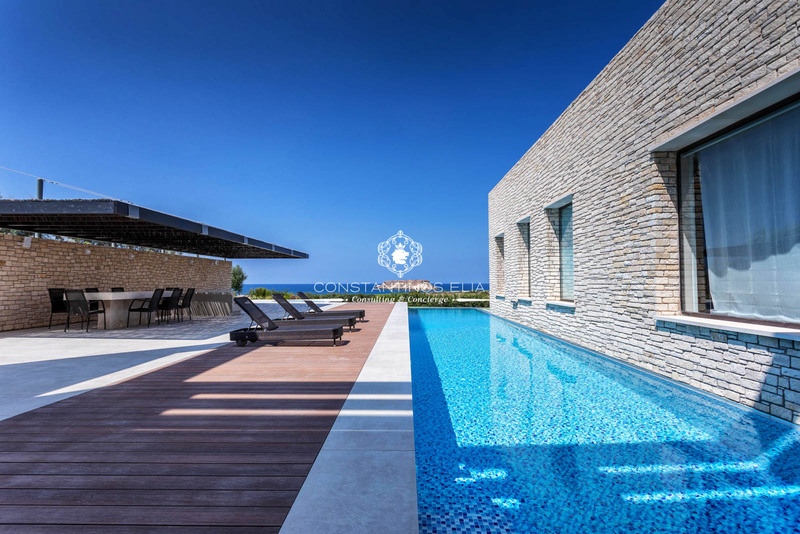 Cap St. Georges Villa Club enjoys the panoramic views of the island of St. Georges, which is the only island of the western shore of Cyprus. With its west orientation, Cap St. Georges enjoys spectacular sunsets on a daily basis and villas are designed to maximize these views. The sea caves location of Cap St. Georges provides a unique setting and some of the purest swimming waters on the island. Cap St. Georges is the perfect place to lie back, switch off and relax. Those with a desire for more activity are equally well served: swimming and water sports such as windsurfing, scuba diving and kite surfing are a sheer indulgence in the tranquil blue sea while the more adventurous can head to the nearby mountains for trails that will delight. 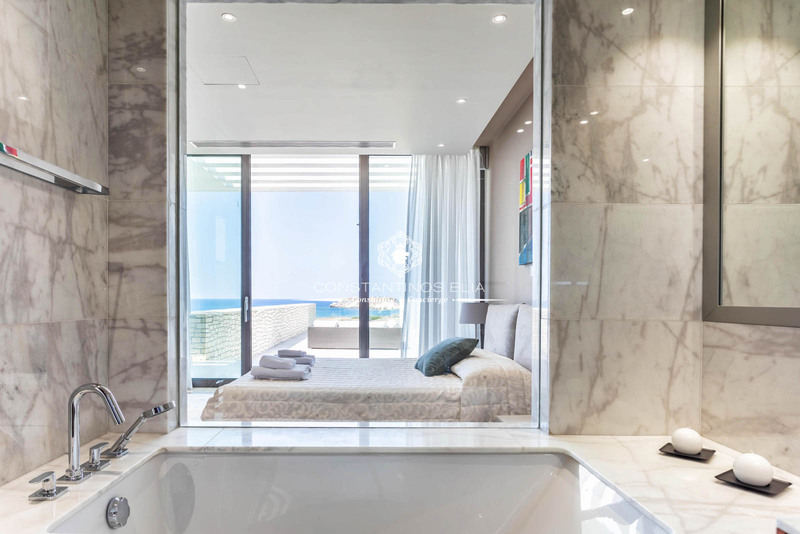 All properties have state-of-the art interiors, with panels in every room controlling everything from the lighting mood to the temperature of the bath – all systems can be completely controlled from anywhere in the world. Rainforest showers, huge spacious bedrooms, bathrooms, gigantic windows which maximize the amount of natural light. A Jacuzzi or a sauna is also available within the villa itself. 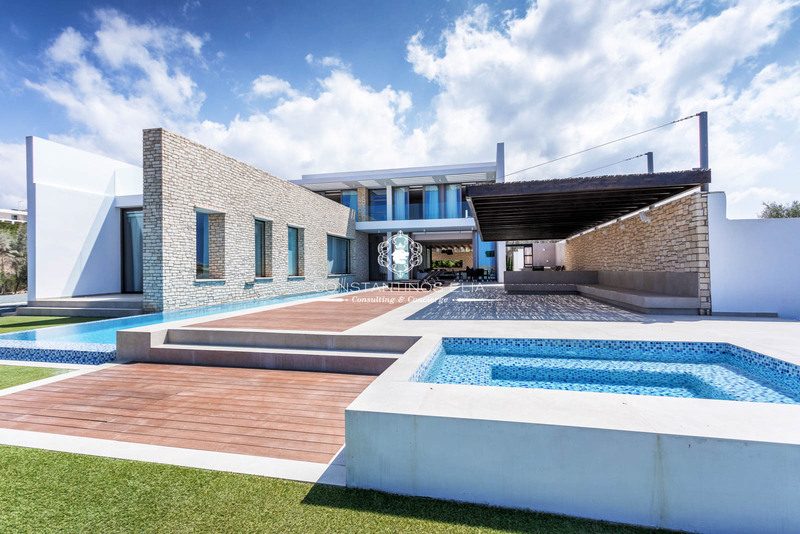 The villas are contempory in style and design with timeless elegance. The shapes and materials are locally inspired but are reinterpreted to form a creative and harmonious whole. 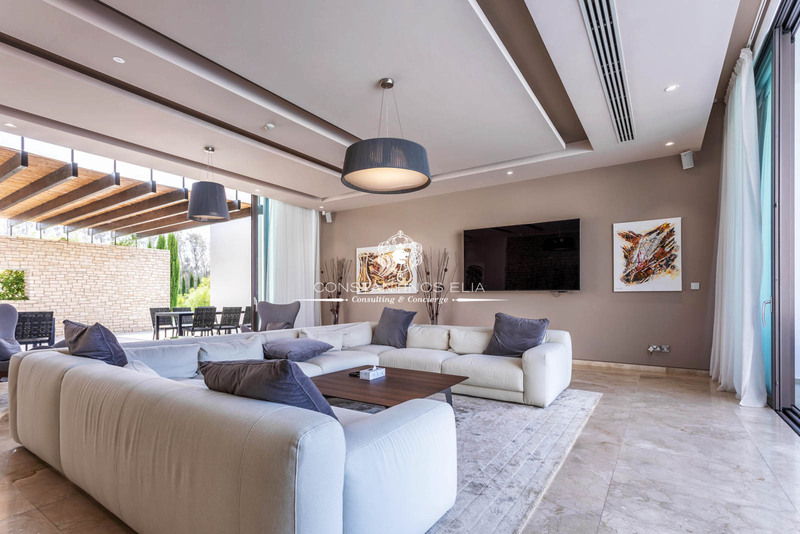 All the villas use the same palette of colours and finishes but each has its own individual setting and bespoke fit-out. A certain level of flexibility within the design parameters will be offered to accommodate each client’s specific needs.